Who knew there were so many different types of cloth diapers! 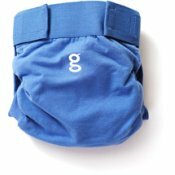 What is a fitted diaper and how do you stuff a pocket? These are just a few of the many questions you may be wondering as you begin your search into using cloth diapers. There are so many different types of diapers that it can be confusing trying to decide what to use, let alone how to use it. Here I will break down each specific type of diaper, how it works, and how to use it. This will help you get an understanding of what your options are and what diapers are best for you and your baby. 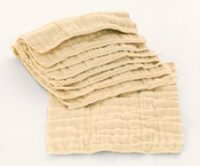 These are the original diapers that your grandmother most likely used. Some call these diapers "old fashioned", I say good old fashioned fun! 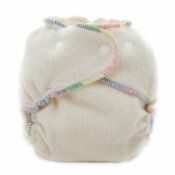 These are a budget friendly diaper that are a great addition to any diaper stash. These diapers are shaped like a fitted, but work like a prefold. These are next step up from prefolds. These are more absorbent and easier to use, but more expensive. 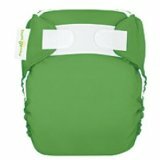 Easy to use and very absorbent, these two piece diapering systems are a great introduction into cloth. These diapers are the ultimate one piece diaper. Ease and convenience make these daddy and day care favorites. These are a quicker drying, two piece version of the all in one's. 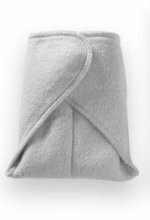 Cloth Diaper manufacturer's are constantly coming up with something new! These diapers are like no others! Yes they even make cloth diapers for your babies to swim in! 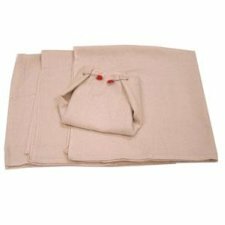 When your little one is ready for potty learning, you can use cloth trainers to help make the transition.